I must admit I was very worried and nervous before this trip. 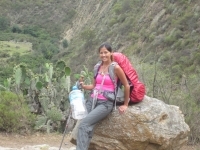 I've never been a hiker and have asthma... not the best combination for the Inca Trail. But this trip has been on my husband's bucket list for as long as he can remember so I couldn't not go. 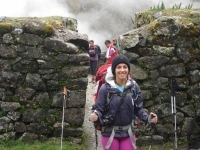 Inca Trail Reservations provided us with an amazing tour guide that made the experience fun and enjoyable. The food was very good and the equipment they provided was wonderful, in good condition no rips in tents and sleeping bags were nice and warm. 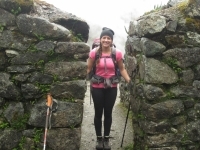 The Inca Trail was absolutely amazing. It was very exhausting by the end, but seeing Machu Picchu made it all worth it. Not only was Machu Picchu incredible but the scenery along the entire Inca Trail was stunning. 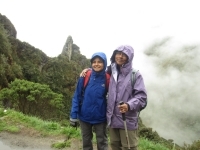 The atmosphere of Machu Picchu was amazing and enjoying this with our small tour group made it even better. This was an amazing experience. Peru is a beautiful country and I wish I visited more places... but hiking Machu Picchu is definitely a highlight. I consider myself a hiker, but this was an ultimate test of endurance. Everything I read on the Internet was true. 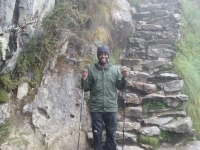 This trek was physically challenging of course, but what an adventure. 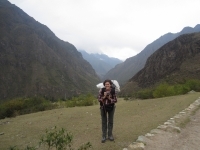 I'm grateful that Inca Trail Reservations was so organized and helpful when I decided to book the trip. The correspondence via email was great from the beginning to the night before the trip. My daughter convinced me to do the 4 day 3 night trail. I didn't think I could do it at the age of 62. 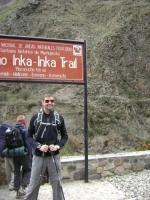 Inca Trail Reservations really looked after me . I didn't feel rushed even when it was really hard and the climb got really steep. An adventure of a life time, words can not express what an experience the trek was. I went into the trip with an open heart and mind without any expectations. 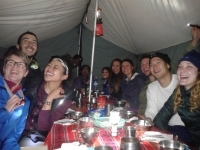 The porters, chef and guides are so accommodating and caring. Waking up each morning with coca tea in my tent was the best way to start my day. 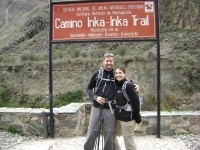 We were very nervous about doing the Inca Trail. The first day was really easy with gentle inclines. The second day was the hardest. Getting past the Dead Woman's Peak was not easy ! It felt good to have done it. Fill it up again ! What a great adventure ! From the start our guides, Jorge and Gerson, were friendly, knowledgeable, and fun. We were also blessed with a great group of fellow travelers. 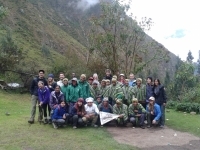 We were able to learn about the history of the various Inca ruins, enjoy beautiful hiking, laugh, and make new friends. 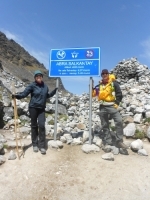 Our trek on the Salkantay trail was absolutely amazing ! 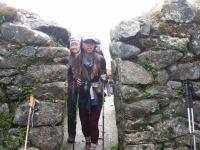 This was my first hike of this kind and I found the experience to be very enlightening about my physical limits and far I was willing to go to experience the beauty of this part of Peru and the culture here.